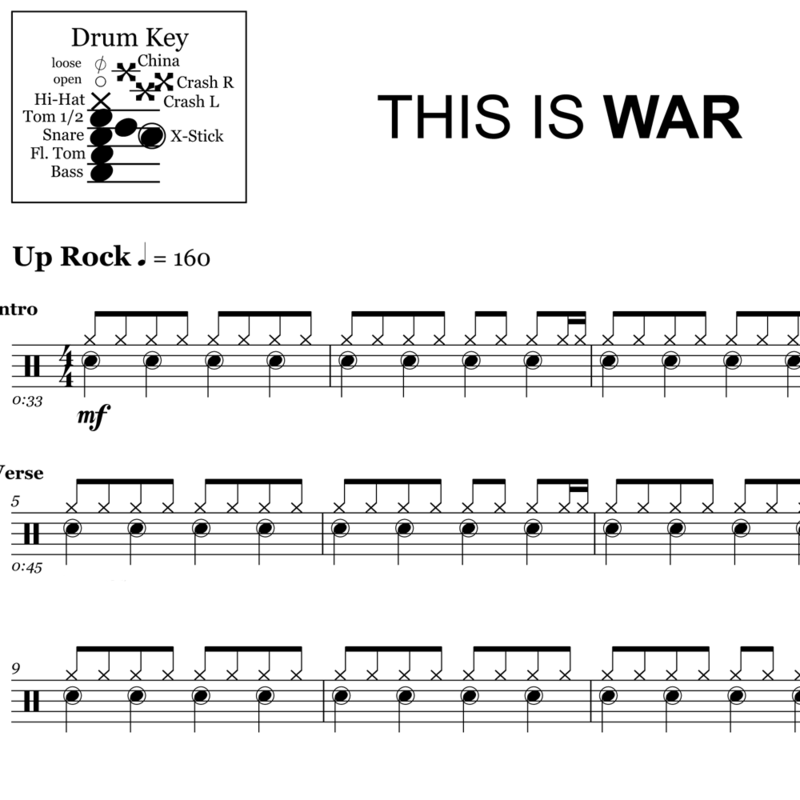 The full drum sheet music for “The Kill (Bury Me)” by 30 Seconds to Mars from the album A Beautiful Lie (2006). “The Kill” broke a record on Billboard‘s ‘Modern Rock Tracks’ chart by remaining on the list for a full year. It remains 30 Seconds to Mars’ most commercially successful song. 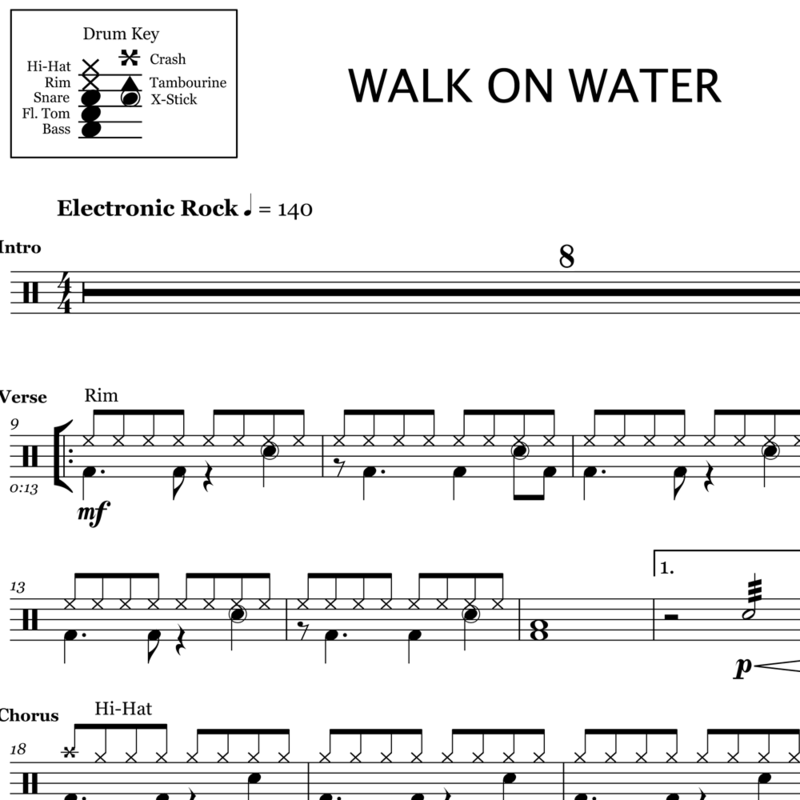 Drummer, Shannon Leto, takes an active approach to this 6/8 based track. Syncopated bass and snare figures play an active role, while the hi-hat (and later, crash) keeps the eighth pulse flowing. Some ‘four-over-six’ based rhythms are also peppered throughout the song, which add to the intensity.